The House of Representatives of the Parliament of FBiH will discuss Green Report on Status of Agriculture in the FBiH at its session on Wednesday, February 15, 2017. Discussing the status of agriculture in an interview for FENA, Minister Šemsudin Dedić pointed out that despite the fact that agriculture serves as the primary source of income for 30% of households in the Federation of BiH, our trade deficit in agricultural commodities still remains extremely high due to a wide variety of reasons, but most of all, due to lack of reforms in this sector. In order to improve the competitiveness of our agricultural production, higher investments are needed in all segments of agricultural production value chains. The situation is further aggravated by the insufficient budgetary allocations for agriculture, which still remain the lowest in the region, and by the absence of internal political agreement on the state-level agriculture and rural development strategy paper, which would open up the access to ample EU IPA funds earmarked specifically for agriculture and rural development. 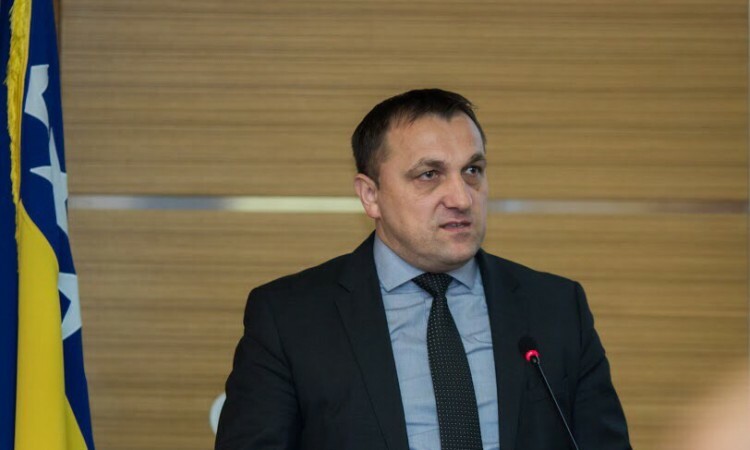 Minister Dedić further added that the average farm size of less than 3 hectares prevented large-scale agricultural production but was nevertheless adequate to support fruit and vegetable production. With higher investments in technology, machinery, capacities and storage facilities, the farmers would be able to achieve higher production levels and ensure longer periods of storage thus increasing the market value of their produce. Despite all the challenges facing agriculture, Minister stressed that there were huge potentials for development in dairy, fruit and vegetable sectors which are not wholly affected by our farm structure disadvantages. Also, since these sectors are labor intensive, their growth will translate into job growth as well. Bosnia and Herzegovina is already the tenth highest raspberry producing country in the world and the 15th highest plum producing country in the world. The other comparative advantage is the proximity to some of the major European markets, such as Austria, Germany and Switzerland. Also, the land transport of consignments of fresh meat originating in Bosnia and Herzegovina across the territory of the EU towards Turkey and Russia has been approved recently, significantly reducing transportation costs for these commodities. As already pointed out before, since the Ministry has for years now dealt with market interventions through production subsidies, it is high time we start investing in rural development, including infrastructure, marketing, agri-environmental measures such as organic farming, climate change mitigation measures, entrepreneurship development, irrigation etc. In order to deliver on this, the Ministry will seek other sources of funding in order to modernize agriculture and transform it into an engine of growth and employment, said Minister Dedić in his interview for FENA.